Horse race before the start by Edgar Degas. Fine Art Giclee Reproduction on Canvas of the artists original work. Fine Art Giclee. Museum Quality Canvas Unstretched. Total Canvas Size 49.73" x 24". We use ‘archive quality’ inks and canvas that have been independently tested to resist any visible fading for over 100 years ! High Resolution Art Print On Real Canvas. Material: 100% Real Premium Quality Canvas. 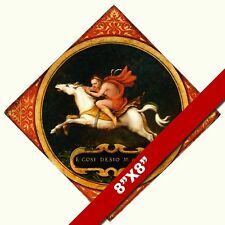 What to expect from SaltLakeCo canvas prints - YouTube. Paste link into a browser window:[isdntekvideo]. Print Type: High Resolution Iris Giclee. LASTING FOR OVER 50 YEARS. ( CHECK GOOGLE FOR INTRICATE DETAILS OF GICLEE PRINTING). THIS IS A PIECE OF ARTWORK YOU CAN HANG ON THE WALL. ( CHECK GOOGLE FOR INTRICATE DETAILS OF GICLEE PRINTING). LASTING FOR OVER 50 YEARS. ( CHECK GOOGLE FOR INTRICATE DETAILS OF GICLEE PRINTING). Over all IMAGE SIZE IS A LARGE. 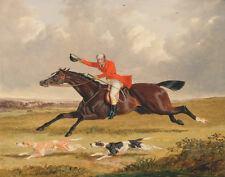 Subject horse racing. Print Surface Canvas. Original/Reproduction Artwork Reproduction. Print Type Giclee & Iris Prints. Date of Creation 2000-Now. We only ever use the best quality 100% Cotton canvas. (not cheap polyester). High quality full HD print Professionally Stretched Canvas. Choice of 280gsm or 400gsm canvas. We think Decoration in the living room can not only make it more harmonious and full whole, but also reflect the elegance and taste of master, rendering the warmth of becoming a monk.